Most often temper tantrums are caused by a child’s inability to express and control his emotions. Something may have set him off - a sandwich cut in the wrong shape, a broken crayon - yet that is not the reason for his extreme meltdown, it’s just the catalyst. Most often there is a root cause hiding below the surface. He is tired, hungry, angry or frustrated, and this causes the short fuse that ignites the tantrum. The good news is that you can frequently avoid or modify the cause, and thereby avoid the tantrum, or reduce its duration or intensity. Not always, of course! But when your child begins a meltdown, try to determine if you can tell what underlying issue is causing the problem. Solve that problem and you’ll have a better chance of helping your child calm down and move forward. You may be able to avoid some tantrums by giving your child more choices in his life. Instead of saying, “Time to leave the park - right now,” which may provoke a tantrum, offer a choice, “Before we go, do you want one last slide or one last swing?” Children who are busy deciding things can often be moved towards your goal with a happy attitude. 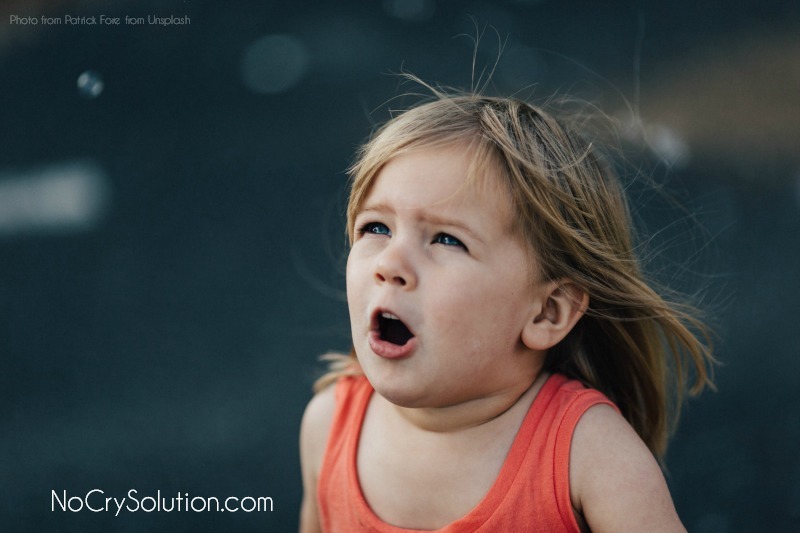 When your child doesn’t hear you or doesn’t understand you, it often makes it seem he is misbehaving, which leads to tantrums – from both of you! Instead, get down to your child’s level, look him in the eye, and make a brief, clear request. This enables him to understand you fully, and increase the odds that he’ll comply. If you help your child identify and understand her emotions she may be able to reign in her extreme response. Give words to her feelings, “You’re sad. You want to stay here and play at the park. I know.” This doesn’t mean you must give in to her request, of course! but letting her know that you understand her problem may be enough to help her calm down. Children can easily be distracted when a new activity is suggested. If your child is having a tantrum try switching her attention to something new. Since children aren’t very good multi-taskers you might be able to end the unpleasant activity with the recommendation of something different to do. Bring out a game, toy, or snack and change the subject! If a child is upset about something, it can help to create a fantasy of what he wishes would happen. If you’re in the store and he’s upset because you won’t by a toy for him, you can say: “I bet you wish we could buy every single toy in this store! If we could do that what would you put into the cart?” This can easily become a fun game. After a tantrum is over, let it go and move on. Don’t feel you must teach a lesson by withholding your approval, love or company. Children bounce right back, and it is okay for you to bounce right back, too. Childhood is all about learning, and many lessons must be taught many times. So be patient, and help your young child learn to understand and control her emotions.